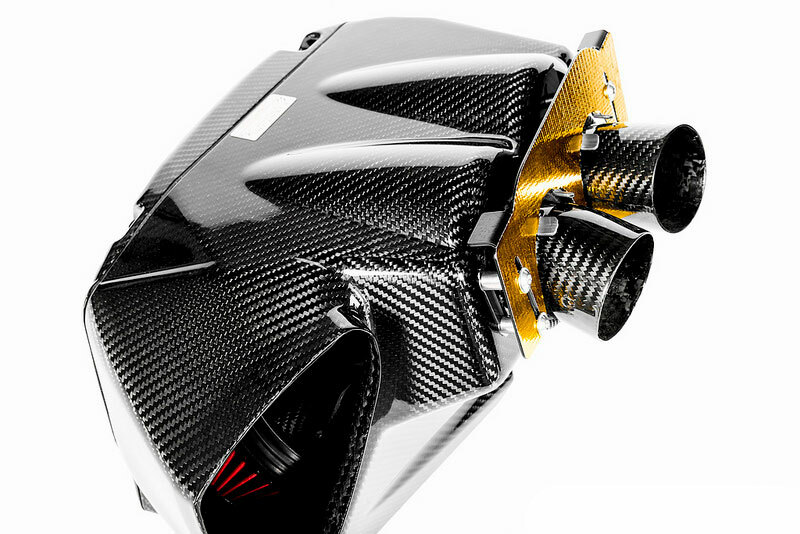 The Audi C7 RS6/RS7 Eventuri intake sets a new benchmark for intake design on this platform. 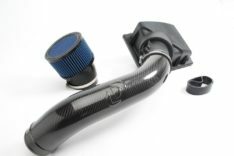 It was developed to achieve two objectives – 1) De-restrict the turbo inlet paths. 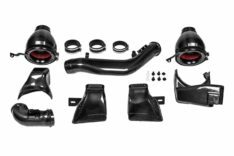 2) Maintain low inlet temperatures. 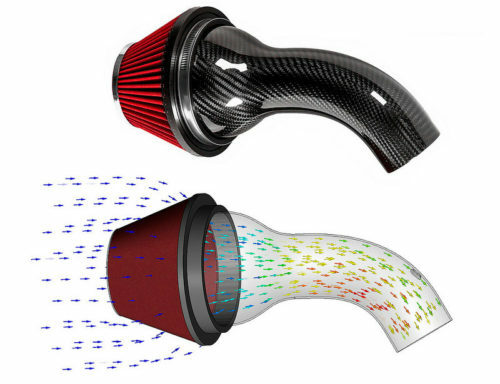 The first objective was met by providing each turbo with a separate filter and Venturi stack in order to reduce drag and allow the turbos to work more efficiently. 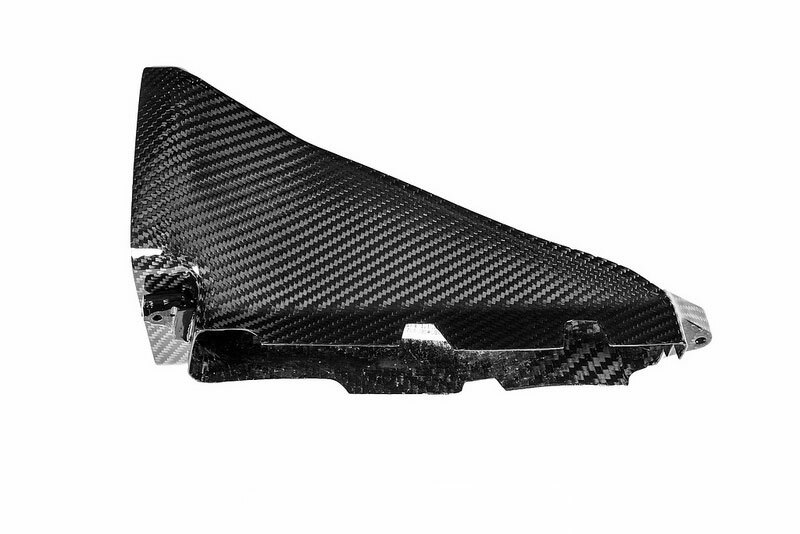 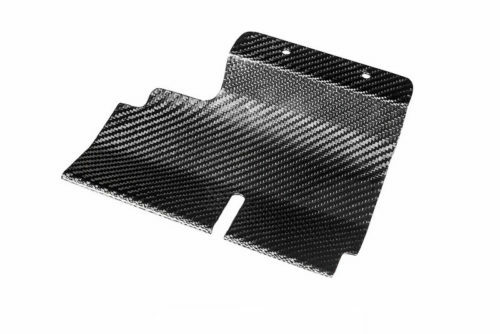 The second objective was met by enclosing the filters inside a carbon airbox and feeding them with an additional scoop added behind the front grill. 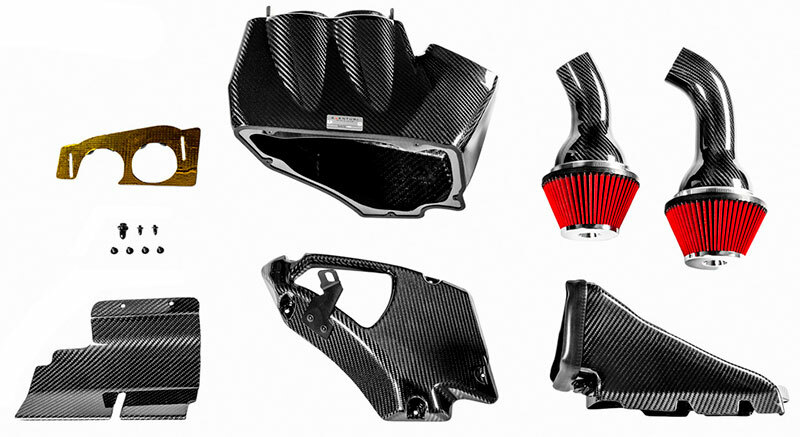 The C7 RS6/RS7 engine bay has multiple heat sources from different directions so a simple configuration of open filters and shields would result in higher IAT values. Our carbon airbox enclosure has been designed to maximise the use of the available volume and block all sources of heat. 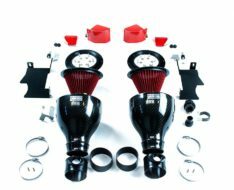 The resulting performance gains and aesthetics are industry leading for the C7 RS6/RS7. The C7 RS6/RS7 Eventuri system uses 2 Venturi stacks mounted to the filters which smoothly transition to the turbo tubes. 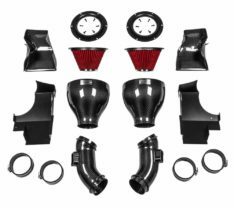 These provide an aerodynamically efficient airflow path from the filters to the turbos. 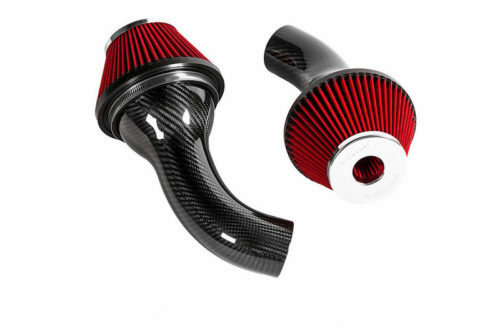 Not just another cone filter with a heat shield but a unique design which invokes the Venturi affect and allows laminar flow to be maintained throughout the tubing, reducing the drag on the turbos.